Microspace’s SES-3 operates at 103° W.L. 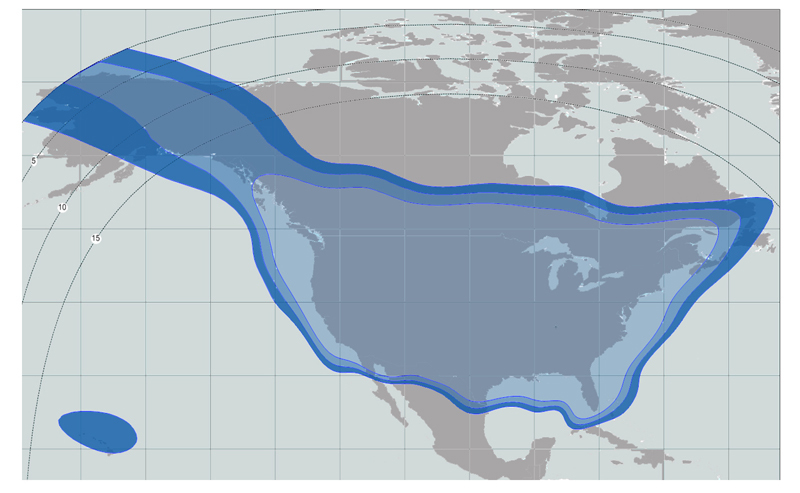 covering mainland United States plus Alaska and Hawaii, Northern Mexico and Southern Canada. Microspace’s VELOCITY service provides high-speed video and data services for firms requiring reliable and economical delivery to multiple locations. The strong signal on SES-3 allows customers to use small antennas (36″) with excellent look angles. Microspace service on SES-3 is also fully protected and non-preemptible–the highest level of service offered by a satellite operator. Contours indicate minimum dish recommendations.